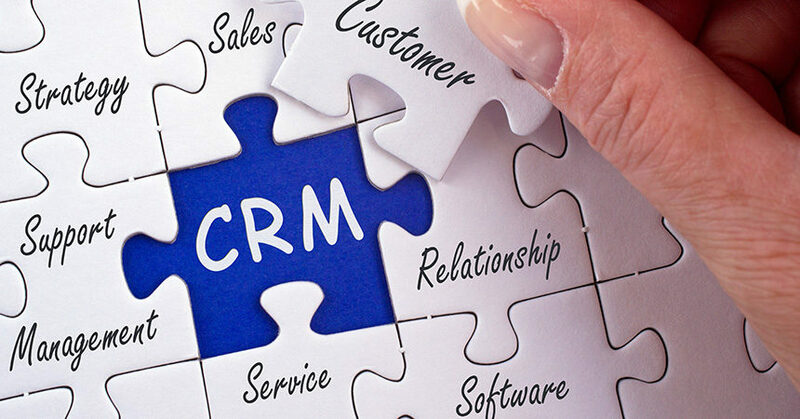 The puzzle of customer relationship management (CRM) is one that any smart business has to solve to maximum its revenue, streamline operations, and improve customer satisfaction and retention. In the case of auto dealerships, it’s especially challenging to put the pieces together. In the automotive business, it’s not like a 24-piece jigsaw puzzle for kids; it’s more like the 1,000-piece advanced puzzle intended for experts only. In past years, automotive CRM solutions have seemed daunting, sometimes intimidating dealers and employees with their complex Web integration, cloud computing, data mining, social media, and other features across the many disparate-yet-critical operations of a typical dealership. But historically, technology providers have strived to make their systems more accessible and user-friendly while also delivering greater functionality and better integration of components. This is especially true in the case of automotive CRM, so objections some dealers have had about the complexity or inscrutability of CRM systems are falling by the wayside. The three CRM experts we interviewed make it clear that ease of use and better technological integration of all dealership operations are not just empty promises about the future from the leading CRM solutions vendors—they’re here now, waiting to be utilized to maximize. Thank you to our three interview subjects—Shawn Morse, senior vice president of software solutions for NCC’s Avendas CRM; Bill Wittenmyer, partner, ELEAD1ONE; Dan Moore, senior director of marketing, VinSolutions; and Brad Perry, founder and CTO of DealerSocket, for sharing their insight and wisdom on this complex and essential part of modern dealership business. After you read their takes on where dealership CRM technology is now—and where it’s going—you’ll see that that it’s not so hard after all to put together the many puzzle pieces of a dealership CRM system. And perhaps best of all, dealers are not alone when they do so. The solution to the CRM puzzle is here now—go solve it. Dealer Marketing Magazine: What do you consider the most significant recent advancements or breakthroughs made in CRM technology, and how well have they been incorporated into the systems now available to dealers? Shawn Morse: The last few years have seen CRM technology in the automotive space make some significant advancements across several fronts. It wasn’t long ago that success in CRM was defined by how many features a given system had to offer dealers. There wasn’t a lot of thought given to the user experience, ease of use, and the impact a given feature would have on the daily workflow for the majority of end users at a dealership. As the old-guard CRM systems have matured, [CRM providers] have changed this old way of thinking, and are starting to understand that features aren’t useful if they aren’t used and—more importantly—understood by end users. The newest CRM systems, [which] I believe will be the most successful, have the end user at the forefront of development, and understand that to have value, a system and/or a feature must be utilized and understood. Integrated learning management systems (LMS) that will help users become certified (trained) on a given system or feature quickly and effectively. A great LMS will include aspects of gamification, testing, reporting, and the inclusion of dealer-specific training curriculums. Simplified workflows with a minimization of screens required to find data, complete tasks, and ultimately, [provide] the timeline required for a user to become a proficient CRM user. Intuitive, responsive design platforms that allow users to access a single version of the CRM across any device. A native mobile app is important, but with proper design and simplified work flows, a user should be able to use the same Web application no matter the device being used. Bill Wittenmyer: Clearly the most significant advancements in CRM are mobile and an open platform [for] integrations, specifically interdepartmental. Centralization and integration are key drivers to forward-thinking CRMs. The largest benefit for dealerships is the tie-in of all departments for a true CRM and an exceptional experience for their employees, as well as consumers. CRM functionality is now on the fly, and mobile is fast, easily accessible, and user-friendly, yet robust and fully functional—all the way to presenting figures and negotiation. Today’s consumers want the Amazon experience and transparency. Dealers are still a bit hesitant to give up the “control,” but in reality, we gave that up years ago. The revolution of integrating technology and our business is at a crossroads. We cannot get so wrapped up in the technology, micro minutes, and decisions as to miss the true nature of our business. Technology has afforded us the ability to bridge the gap, and create a seamless and intelligent experience across all departments for our customers and staff. Dan Moore: There are so many ways to think about CRM advancements. Some have been in technology and some have been nontechnical, but are still significant. In the nontechnical realm, dealers are realizing they need a partner to help them get the results they want—so CRMs that come with personal support provide significant advantage. In technology, marketing automation is emerging, so dealers can use their CRMs to identify specific customer behaviors that trigger specific follow-up. Say you’re doing a conquest campaign—you don’t want the traditional follow-up of pricing details and test drive offers. You want those customers to receive messaging about the value of your brand compared to another, and that can now be automated. Similarly, if you’re dealing with a customer who likes to text, you don’t want to send emails they won’t read. Lastly, business intelligence has advanced enough that dealers can and should manage the full customer life cycle, using data to assess equity standing, along with other key factors in determining what every customer needs and when. Brad Perry: It’s exciting for our industry that CRM start-ups have begun rolling out some good things for dealers. Competition makes us all better in the long run. The difference is that the bigger players in the space have the relationships and integrations that enable a dealer to eliminate otherwise-disparate technology environments. The goal with any CRM should be to create a better user experience for dealership employees, thereby creating a better overall experience for the automotive consumer, which is what they are demanding more than ever. I think CRM technology is advancing toward meeting this need, with fewer unnecessary visible bells and whistles and more sophisticated back-end tools that enable maximum engagement. It’s a ripple effect; the easier it is for staff to use the CRM, the more customers get logged, the more effective marketing can take place, and the more revenue for the dealer. We are looking forward to going to pilot with our new technology platform in the next few months with CRM, of course, on the top of that platform. 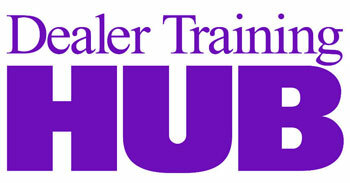 I think our dealers will be excited about the usability testing we have done and how this will help their business. DMM: What are the essential components of a state-of-the-art CRM system for an auto dealership, and how should they work together? The flexibility for each dealer to design dashboards, reporting metrics, processes, and marketing campaigns that fit the way that they do business. All of these core pieces should operate as one seamless system, with an easy-to-use interface and the ability to quickly make changes to keep up with the ever-changing automotive marketplace. The key to all of this is a modern and intuitive design backed with world-class training and support. Long-term success with any CRM is a combination of buy-in from end users, and the only way to create that culture is to start with pain-free implementation followed by training and a continued proactive support model. BW: A CRM is really a communication platform to the consumer with valid and quality data, empowering every department to interact by text, phone, video, and email. The real advancement is not having to rely on several different products that do not communicate or integrate with one another, causing the workflow to stifle and significantly reduce the ability to create a foundation for strong and lasting customer relationships. The capacity to have every operational component simplified and tied into a one-login CRM with a robust communication platform creates a streamlined, exceptional experience for both dealership staff and consumers—no more sending mixed messages from different departments within the store or overlapping communications from stores in the same dealer group. Further, it is essential that dealership staff be prepared for consumers when they arrive at the store. We all know the majority of consumers have done their research and are well-informed, but we still have a tendency to act or appear baffled and taken aback when asked about trades and various components of the sale. Today’s technology has all the data at our fingertips; we have chosen not to take advantage of it until recently—and some still do not. DM: A state-of-the-art CRM has to be fully connected to give a dealer and a consumer an efficient process and experience when it comes to servicing and purchasing a car. I tell dealers to look holistically at all customer touchpoints in the dealership: websites, lead processes, desking, inventory management, communication, marketing, fixed ops—everything has to talk, or you lose efficiency and customers. This is especially true when you consider the rapid changes in consumer behavior and how fast other technologies like Amazon are evolving. Customers expect you to know what they want, when they want it. You need to know when a customer comes off of a piece of your advertising and submits a lead, then goes on your website to look at other inventory. And you need to know when existing customers are looking at your inventory so you can change your marketing message accordingly. If you only know what you think you should be saying rather than what data is telling you to say, you’re not working with a state-of-the-art CRM. Lastly, you need to be as mobile as your customers are. That means any technology you use while interacting with a customer has to be mobile-optimized and fully integrated. The CRM must consolidate and organize all dealer interactions with a customer in a single and simple interface. That includes all touch points with the sales department, service department, marketing department, and any customer satisfaction resolution team members. The value in this approach is making sure you contact the customer at the right time with the right message based on the customer’s history with the dealership. This creates more trust between the dealer and the customer, which in turn translates into increased customer satisfaction and dealer loyalty. If dealers don’t focus on this, the manufacturer will step in to ensure brand loyalty over dealer loyalty. Dealers are also finding it more and more difficult to manage their business by using disparate systems to manage each department. It’s frustrating and time-consuming to manage multiple logins, multiple customer addresses, multiple points of customer opt-out, multiple vehicle records, multiple points of security exposure, multiple end-user logins, etc. The CRM must have an open architecture in order to support integrations with other disparate systems such as DMS, website, inventory management, call center, call providers, lead providers, and most importantly, the OEMs. Today more than ever, OEMs are recognizing the importance of improving customer management at the dealer level. OEMs also recognize that they hold the keys to valuable information that could help support dealers in their customer interactions. This data includes special incentives, recall information, loyalty programs, equity positions, and access to upstream inventory. Also, OEMs are interested in understanding how effective their Tier I, II, and III marketing programs are by gathering data from CRMs that have a comprehensive view on all of the dealer’s leads and their closing ratios. Historically, manufacturers have not been able to directly connect their programs with the outcome of leads presented to the dealer. A good CRM will have the capability of reporting this data back to the OEMs to help close the loop. A state-of-the-art CRM system also directly connects with the dealer’s website to close the gap between the consumer’s online and in-store experiences. The most comprehensive combined packages will come from CRM companies that also have a good website product offering. They could come from CRMs that have partnered with a web provider, but those relationships are often strained by competing priorities. DMM: What would you say to dealers who resist installing or upgrading to a modern CRM system at their dealership? SM: I completely understand their hesitancy. I have been involved in hundreds of CRM transitions, and they can be difficult if not planned properly. I would ask them to create a list of things they wanted when they installed their current CRM system, and take a hard look at how many of those things are currently being accomplished, and to what level. If they have a CRM champion in the dealership, I’d ask them to compare their list with that person’s. This can be an eye-opening experience. If they don’t have a champion, [they should identify one] before making any decision on changing the CRM. There needs to be at least one person at the store who can partner with the CRM vendor to help accomplish the goals, drive adoption, oversee usage metrics, and drive accountability in the store. Once the CRM goals of the list have been compared, it’s time to take a look at how the business has changed since [the original] CRM was installed, and make another list of things they want their CRM to do now that those changes have taken place. If this is extensive, then it is probably time to take a look at some of the new CRMs and see how they might be a better fit. The automotive CRM business is still relatively young and is changing at a rapid pace. The difficulty with implementation and training that used to be a given is not a reality any longer, or doesn’t have to be. With a good plan and clear goals, the changeover can be accomplished efficiently with minimal impact to a dealer’s daily business. The key is to have a good plan, the right reasons for making a change, and an understanding of how the change will have a positive effect for the business. BW: Put your money away. Save. If you are not making money now while sales are good, you won’t ever, and eventually you will need a savings account. Business is good right now, but this business is going to turn because we, as dealers, are doing the same things that got us into trouble in years prior—both as retailers and manufacturers. We are overproducing cars and are worried about moving iron versus profit. We are spending more on the fly-by-night items and fads, and buying all the things we cut during the last contraction. In essence, success will not last because we are straying from good business basics. Good processes and CRM are the road maps to strong sales. If you don’t have a road map, how do you know where you will end up? An up-to-date CRM provides the funnel on what brought success in the first place—the 4 P’s: people, process, product, and passion. DM: The biggest points of resistance are cost and team buy-in, and neither of these issues should really delay an upgrade if you have the right perspective. Cost should be the last thing you worry about when you consider that a CRM can make a lot of money for your dealership when it’s set up right and utilized effectively. That doesn’t mean cost is no object, and it doesn’t mean you should upgrade to every new CRM with the newest widgets and digits just because it’s there. It just means, frankly, that the CRM upgrade is a value conversation and decision, and you should consider it a core part of your business, and invest wisely. Team buy-in is different. If your team hasn’t bought in and doesn’t use the CRM consistently and correctly, you’re throwing money out the window, no matter how good the CRM is. So if you feel ready to upgrade, do a gut check first: Ask yourself, from leadership down and salespeople up, are we bought in? Do we use the solution we have today, and use it correctly? Are we ready to do more with it? If the answer is yes, there’s nothing to resist. BP: I would tell these dealers that one day in the near future, they will find themselves at the bottom of their 20 group list. It may not happen overnight, but as more progressive forward-thinking dealers benefit from the operational efficiencies and the improved customer experiences provided by a modern CRM, the resistant dealers will fall behind. DMM: In dealerships with robust CRM solutions, in what areas of business operations are CRM commonly being underutilized, and why? SM: To get a robust CRM and maintain it is the biggest commitment we see in successful CRM adopters, as well as those that do not get everything they are paying for out of the CRM. An ongoing review and analysis of what is in the tool, the process, the templates, the road to the sale, etc.—if they don’t align with what happens in the showroom and [or] with the marketing message your consumer sees, then it cancels out. Even the most robust CRMs take work to set up. Dealerships that have adopted the CRM and all it can do for them have better understanding that the tool will only react to what you tell it to do. Without an investment in time from both the sales team and the service team—to define where they want to engage and what message they want to go out—there will be holes. Often, [there is] one person who is the super user within the dealership, and everyone is fine with only that person knowing the ins and outs along with the capabilities. It can be devastating to a dealership if that person leaves. We see this in process management, where often the information used to engage with customers does not carry the branding or the messaging of the dealer. Outdated and inaccurate information is a silent killer—silent because the customer just stops engaging with you. We see it in the turnover process: Each time there is a new manager or sales person who self-trains on the tool, a portion of the culture of the CRM is lost. We also see it when the entire organization is not involved in the CRM, [especially] service, F&I, the BDC, the detail shop, and sales events and campaigns. Every department has its own budget and process to reach customers, but the CRM is talking to all of them. Dealers who look at the entire life cycle and find ways to get it into the CRM—regardless of the department—tend to have a more “sticky” CRM and get better results and adoption. BW: The fixed ops side of the business is the area most underutilized. It’s baffling that we still operate the service department totally separate from the variable side. The struggles are the same for sales and service, yet we do nothing in most cases to avoid or change the process. For example, some dealerships still send all incoming service calls—the calls most likely to result in real business opportunities—to service advisors, who should be consulting with customers and therefore, not available to answer. I recently tried to get my car into service at a dealership, and it took me three separate calls. Why? No one answered. I didn’t trust that they would call back based on prior experience, and by the third call, the operator recognized me. She tried to play it off when I asked her if this was normal, but I could tell this was the same every day. How much business are they missing? How many people would actually wait on hold or call three separate times? Service is the area in which consumers have the least knowledge and is sometimes the cause of animosity, and we tend to be ambiguous to the very practice that can be used to alleviate this and build stronger relationships: transparency. Further, we set a customer appointment, which often turns into a wait rather what we should be doing, a check-in. Wasting their time sets a bad tone for the overall experience immediately. The good business basics and processes we offer on the variable side should be extended to fixed operations, including CRM follow-up and business generation, and transparency with vehicle information, service repairs, and maintenance recommendations. Create a mobile check-in process that is quick and easy, and includes a walk-around process with the advisor that helps build rapport and trust by giving customers the information needed to make knowledgeable decisions. Communicate in the way consumers want by sending text updates and videos of needed repairs for upsell opportunities. A robust CRM tool will have this as an integrated option, taking your communication to another level across all departments, building long-lasting, loyal customer relationships. DM: I would challenge any robust CRM user with this question: Are you really using your CRM to manage the complete customer life cycle? CRM stands for customer relationship management—are you managing the relationship with your customer for the long-term, not just during the sales cycle? It’s no secret that right now things are great in automotive, making this the perfect opportunity to hunker down on your CRM, make sure you’re capable of full life cycle management, figure out the targets where you want to hit customers with equity mining and where you want to pick up on fixed ops, and [determine] what kind of messaging you need to keep your service department flowing. Like any other industry, things go up and then they go down. Are you using your CRM to create the opportunity to keep climbing as the rest of the industry plateaus by maximizing the complete life cycle of every customer who walks through your door? BP: Yes! Most dealers don’t take full advantage of their CRM systems. In all cases, bad data in means bad data out. That bad data stems from lack of use or lack of proper use. Both areas point to poor end-user accountability, which rests with management. Dealers who are committed to full participation and buy-in and pass that down to the GM and GSM have the greatest success because they enforce accountability. We have found that dealers who use the desking systems inside the CRM, for example, are more engaged and more likely to ensure good CRM processes happened down line. However, that burden of use does not fall squarely on the shoulders of the dealers. First, they need to make their CRM systems more user-friendly by updating their user interfaces and process workflows. This alone will improve utilization and data accuracy. DealerSocket completed a series of user surveys and testing that showed usability as a key factor in end-user adoption. We are applying what we have learned to our new technology platform that will launch later this year. Second, CRM systems need to become less informational and more actionable. What I mean by that is over the years, CRMs have been very good at pushing a lot of new data and alerts to users and managers at the dealership. Dealerships have used this information to improve their business, but with the almost unlimited amount of data available, CRMs need to be more prescriptive in telling end users and owners/managers what to do. For example, the system should tell the dealer which end-users to focus on, which process is not getting followed, or which customers to contact and with what message. Each recommendation should come with a dollar-based ROI attached based on historical data at the dealer’s store or based on what others dealers are experiencing. DMM: What technological or usability leaps do you expect in automotive CRM technology in the next few years? [Provide] digital retailing technology that allows a consumer to complete their transactions online. BW: I expect us to adopt more of the Apple Store mentality to transactions. Apple Stores don’t ring you up on a computer; [instead] the specialist grabs an iPhone and swipes the credit card right in front of the customer, and emails them the receipt. I fully expect to see us moving completely away from desktop computers and seeing our stores running on 90% tablets and mobile devices for all aspects of the transactions. As dealers, we need to examine and implement this approach. Also, customers should not need to come to the store for delivery. Yes, I understand solicitation laws, but many people don’t have time for that, including me. We all want back our time; we want transparency. Today’s consumers will pay more to ensure that they get more time for themselves. Don’t worry, the ones that don’t will still happily come to the store and camp out, but let’s look to cater to the general public. DM: This is one of my favorite questions because when you look outside of automotive at the fast-paced advancements in technology and how robust marketing automation is going to be, you’ll see that ease of use is going to become even more critical for users. It’ll be even more essential for dealers to understand their customers in terms of their ideal experience rather than just their demographic or generation. You will need your technology to help lighten the load of responsibility, to help you send the right message at the right time, and that is relevant. It really is that simple: The way marketing evolves is the way our technology will have to evolve. Kurt, great article. I did notice that while the large scale CRM Providers interviewed did advertise the ability for future advancement, there is a CRM provider that already has all of these “future advancements”. CRMSuite boasts all of what Shawn Morse stated will come in the future. Just an FYI.